NOTE: The video refers to old dates, 2nd batch of ES + EHA is now open for enrollment. What is this Excel Bundle? I am super-excited to announce my first joint Excel course with none other than Excel Hero – Daniel Ferry. 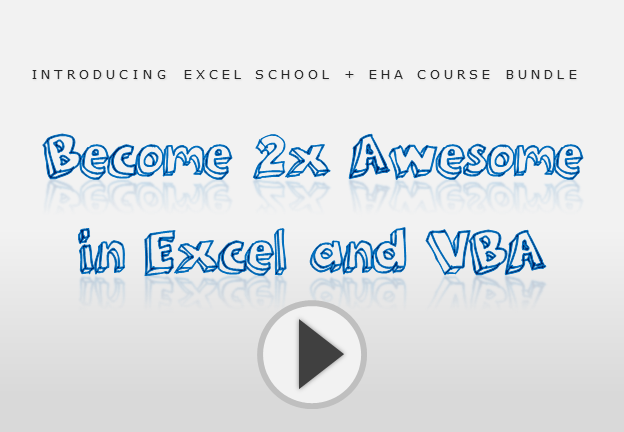 For the the first time, you get basic, intermediate, advanced & super-advanced Excel + VBA course in one neat package. 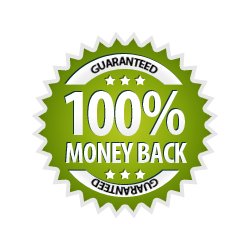 30 Day Money-back guarantee: Your membership comes with a 30 day money back guarantee. If you don’t like what you see in Excel School or EHA, just drop us an email and I will refund your money. No questions asked. If you have trouble enrolling for the class with above links, use below options. A. We accept all major cards (Visa, Master, Amex etc.) and various methods including PayPal, Google check out. Q. Can I upgrade to another option after joining? A. Yes, you can. You will get upgrade information inside our academy. Q. Which version of Excel is used? A. We use Excel 2007 & 2010 in this program. That said, the ideas you learn can be applied to all versions of Excel since Excel 2000. More questions? Please email me at chandoo.d @ gmail.com or call me at +91 814 262 1090. Chandoo – I’m glad you pointed folks to Excel Hero Academy. I think between the two of you, you’ve got a solid educational path for those of us wishing to master Excel. I too am an Excel Hero Academy student and I’ve been fully impressed with Daniels efforts and teaching technique. Some of you reading this may be able to convince your boss to pay for this training (as I did). It will surely pay for itself in productivity enhancements if you use Excel regularly (which I’m guessing you do if you are at this site!). C’mon aboard! PS: This course opened on January 7th. So hurry up and join us. A joint venture by Chandoo.org & ExcelHero.com. Excel Hero Academy is a program offered by Daniel Ferry. Excel School is offered by Chandoo.org.